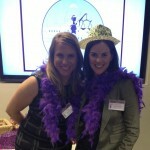 Fun and Inspiration at the Ms. JD Conference – She Leads! You are here: Home / The Confidence Game / Fun and Inspiration at the Ms. JD Conference – She Leads! A special guest report from Lee Burgess about the wonderful Ms. JD conference! 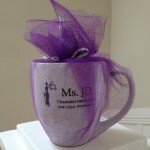 This past Friday, I had the privilege of attending the Ms. JD conference in Washington, DC, aptly titled, She Leads. This was my first Ms. JD conference and it was a fantastic experience. So fantastic, that I wanted to share my thoughts with all of you so you could share in my excitement. 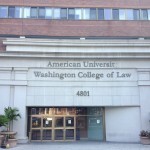 The conference was hosted by American University College of Law. What a great location for such an event, because of the school’s commitment to the study of women and the law. Turns out that the school was even founded by two pioneering women over 100 years ago. What a great story (you can learn more about it here). The room was stuffed with law students and attorneys — all eager to meet each other, network and learn from each other. The board of Ms. JD, dressed in Ms. JD-purple, got us kicked off and we even got to play information bingo (a favorite activity for corporate icebreakers and even bridal showers!). Victoria Pynchon (she writes the She Negotiates blog at Forbes Woman) reminded all of us that it is important to present yourself in a confident way. She said that she took acting classes to work on her presentation and speaking skills. Why not, right? Great suggestion, Vickie! She presented the question to the group, “What would you do if you weren’t afraid?” How often have we all, at one time or another, let fear keep us from stepping up to an opportunity? She challenged us to make fearless career decisions. She discussed that we must be open, be daunted, and be present at all times. I thought her discussion of being present was particularly powerful. So often we are so busy trying to multitask, that we really aren’t fully present no matter where we are, be it at work or at home. She discussed how when she was at work she was the best professional she could be; really embracing the time she was there. And then at home, she was the best mother, wife and friend that she could be. Life is about making the most of the time you have in each role. I really think that is a beautiful philosophy. She also stated that it was unnecessary to have one career path. It was okay to have a “meandering career path.” What a great visual. I know my career has definitely meandered, has yours? This panel was focused on the challenges participants had when presiding over a large group or a major organization (like a law firm). However, the panel really spent time discussing women in the legal profession including issues of discrimination and harassment in law firms (and what is being done about it) and the types of challenges that still generally face women in the legal profession. Things are getting better, but the panel warned that we must all keep our eye on the ball. There are still many changes that need to be implemented both by individuals and at the structural level of law firms to make for a more balanced workplace. 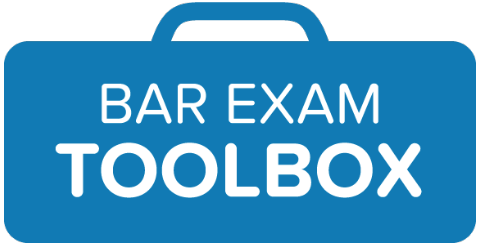 Things like the billable hour may need to go to create an environment that is truly fair and allows all attorneys (both men and women) to be able to practice law and have a life (such as a family or, really, any kind of personal life). Dr. Silvia Hodges (Director of Research Services TyMetrix Legal Analytics) told the group that you must create your elevator pitch and learn how to promote yourself. Desiree Moore (Greenhorn Legal and Greenhorn Bold) reminded us of the importance of finding your voice and learning to carry yourself in a confident and professional way. Alison Monahan (Girl’s Guide to Law School) educated the group on the need to learn to use social media, not just for fun, but to build your professional network. You should get involved on Twitter and Facebook and be smart a about how you use social media (remember, it is important to listen as well as to participate). 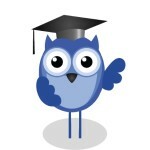 Want more information on how to get started? 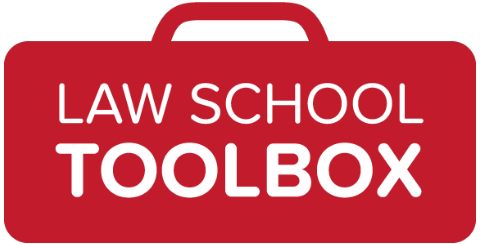 Check out these helpful how-to posts on the Law School Toolbox. This final panel was a group of women who call themselves the Dancin’ Queens. They are a group of nine high level women who practice complimentary areas of the law throughout the U.S. and Canada. The most powerful message that I took away from this panel was that we as women can really help each other when we bond together, network and share. We are more powerful together than we are as individuals. Through relationships you can build your business, be mentored and even have a lot of fun! Well, after that inspirational day, it was only fitting that we all got together, ate some food, drank some wine, and continued the conversation. 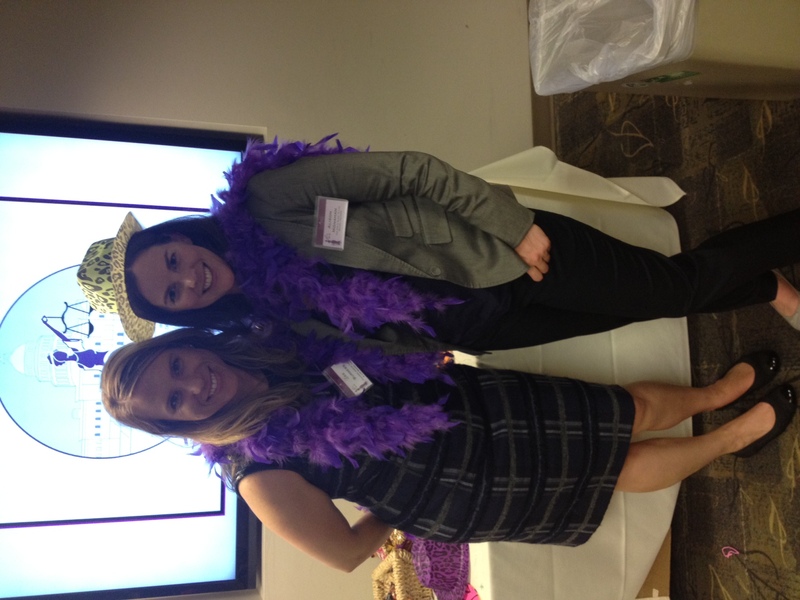 I met so many great women including law students and professionals who I don’t think I would have met otherwise! We discussed new opportunities to work together, told stories and learned from each other. I also got to meet people that I only knew in the electronic universe such as Kate McGuinness (reading her book as I travel back to California). And where else would I have had the opportunity to chat with a woman as accomplished as Kathleen Ambrose? That is what was so special about the day, it was a day of community and sharing– speakers sharing with us, and then all participants sharing with each other. I left with fun memories, new friends and a pile of business cards. Can’t wait for next year. Thanks, Ms. JD, for the inspirational day. See you next year! Thanks to Lee for this great wrap-up! If you’d like to get more involved with Ms. JD (and get a special invite to next year’s conference), apply to become a 2013 Writer in Residence! The deadline’s November 10th, so don’t delay. Are you on our mailing list? If not, you probably want to rectify that!